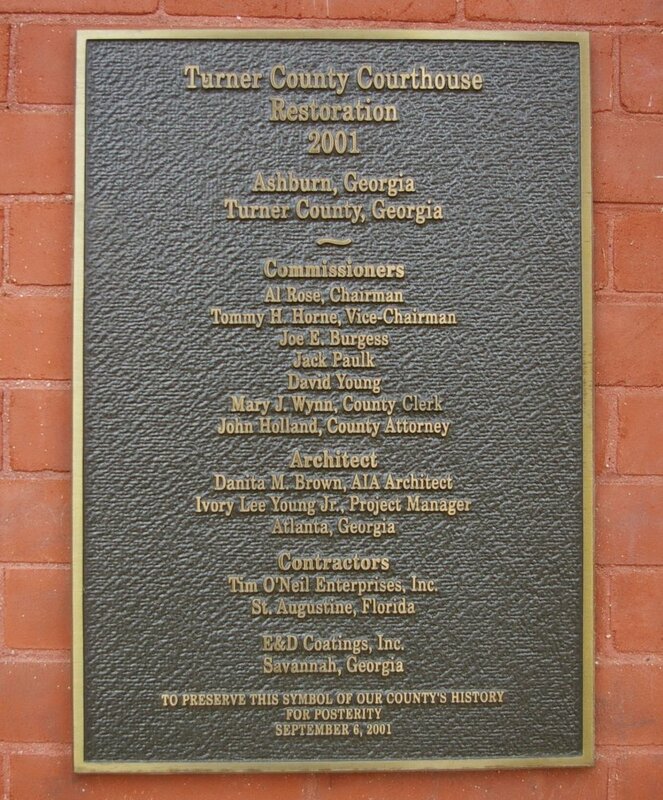 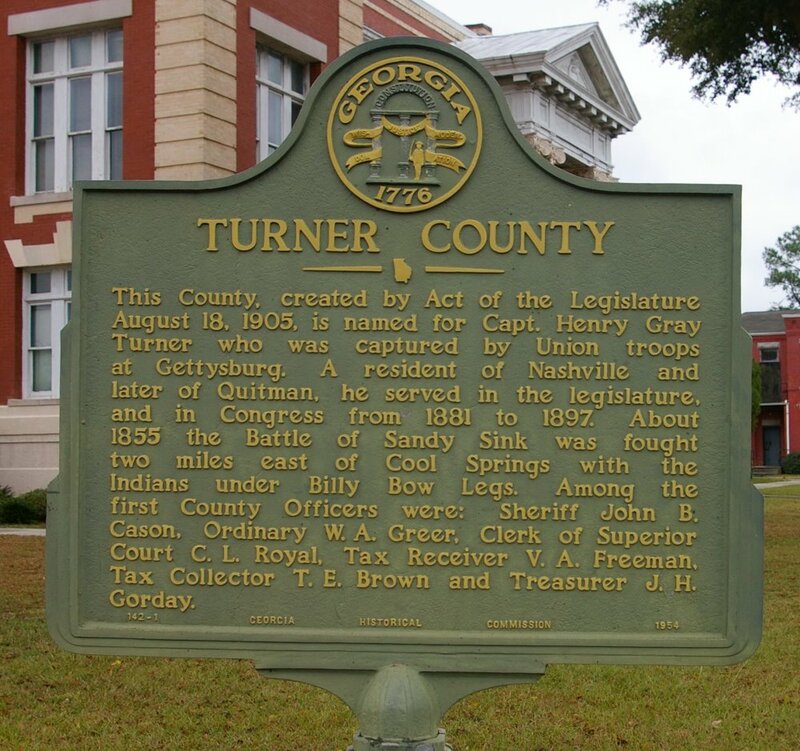 Turner County is named for Henry Turner, who was a justice of the Georgia Supreme Court. 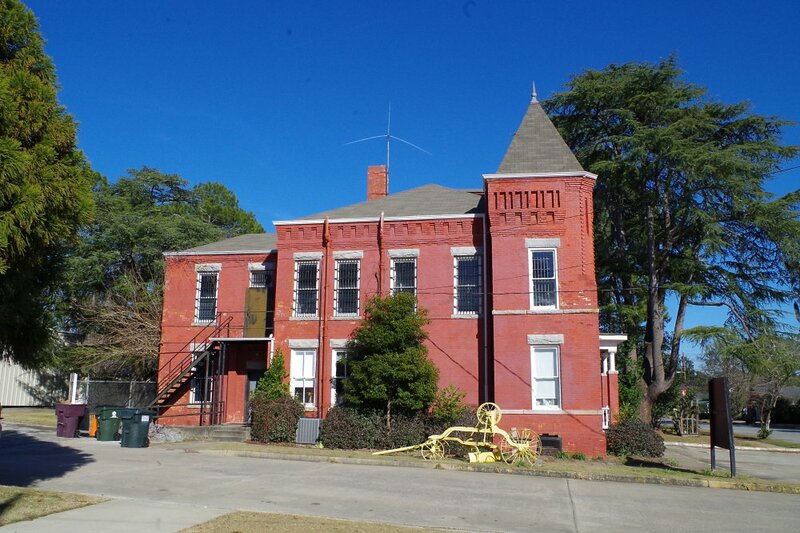 Description: The building faces southeast and is a two story red colored brick, concrete and stone structure. 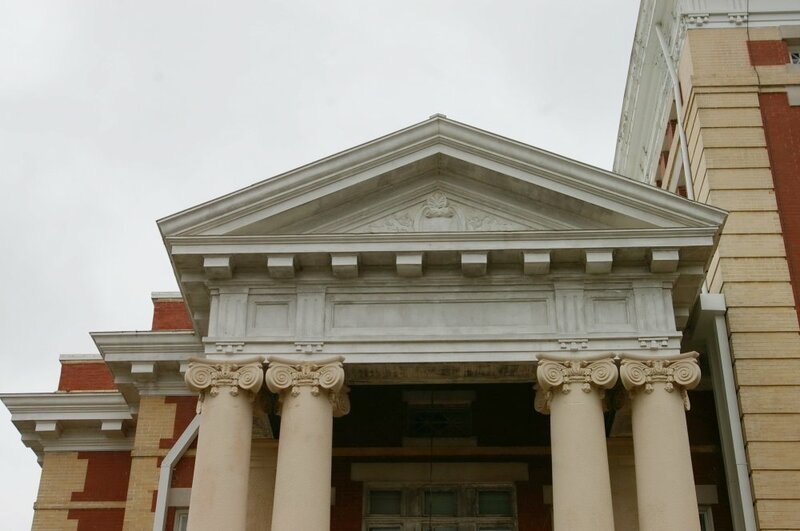 The building is located on landscaped grounds.and the southeast front has a central portico with four high columns rising to a pediment at the roof line. On the south corner is a five story square red colored brick tower rising to a clock and octagonal white colored cupola with gold colored dome at the top. 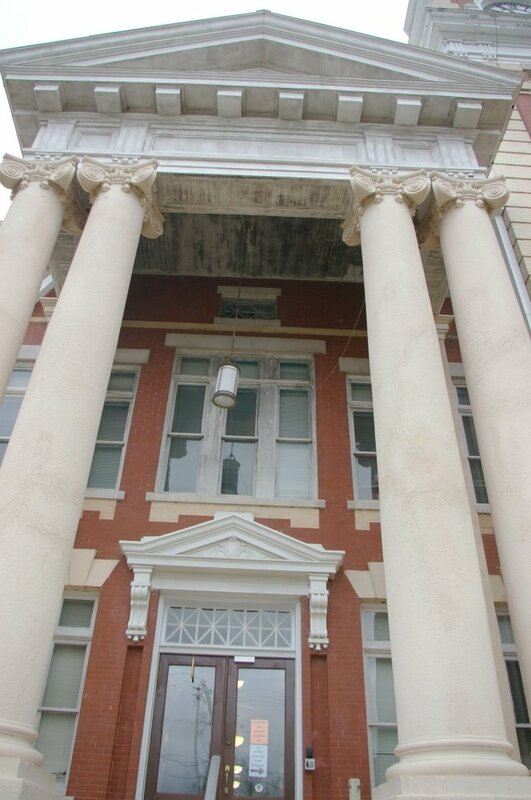 On the northwest side is another portico with four high columns rising to a pediment at the roof line. 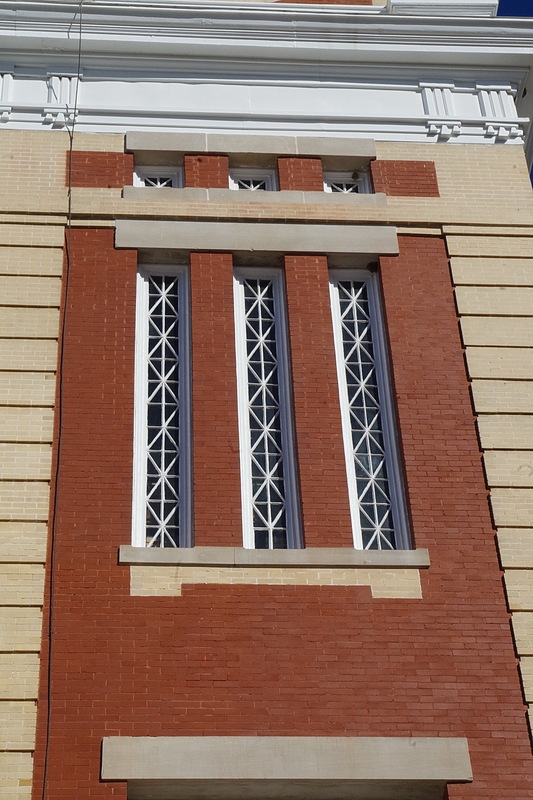 The corners of the building have stone trim, The roof line is flat. The building was restored in 1984. 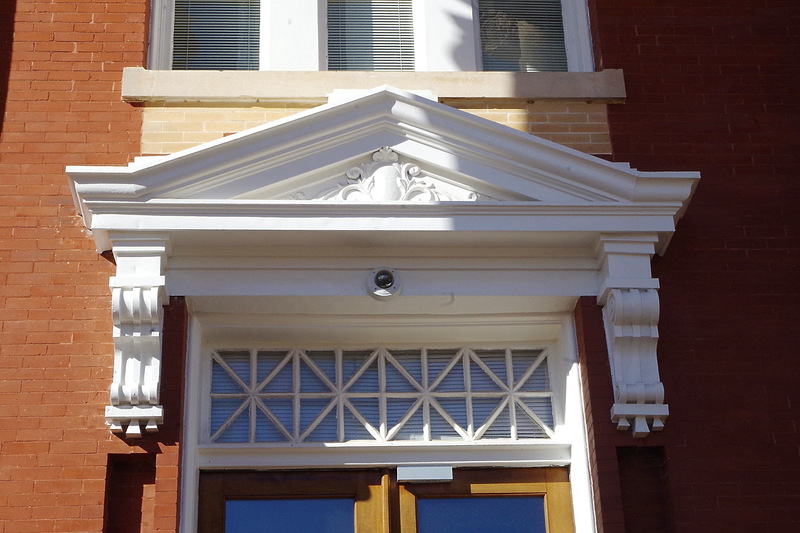 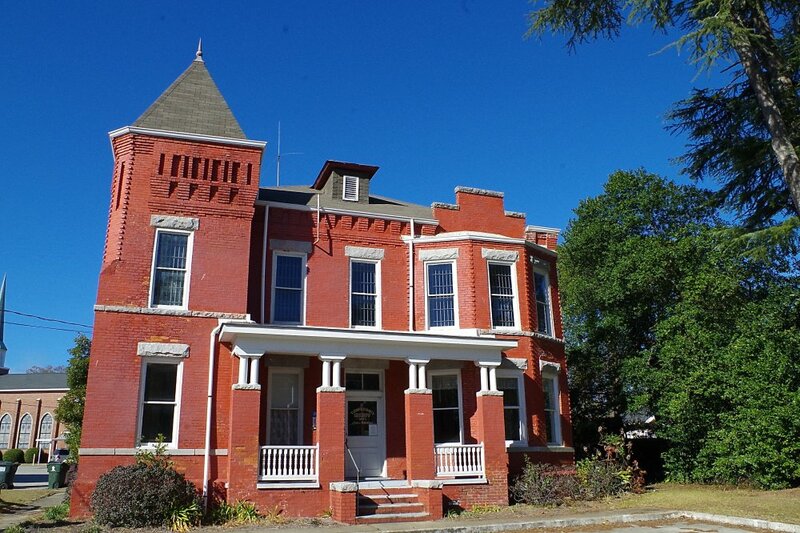 The architect was O’Steen & Suttles of Douglas and the contractor was Charles E Lewis Construction Company of Douglas. 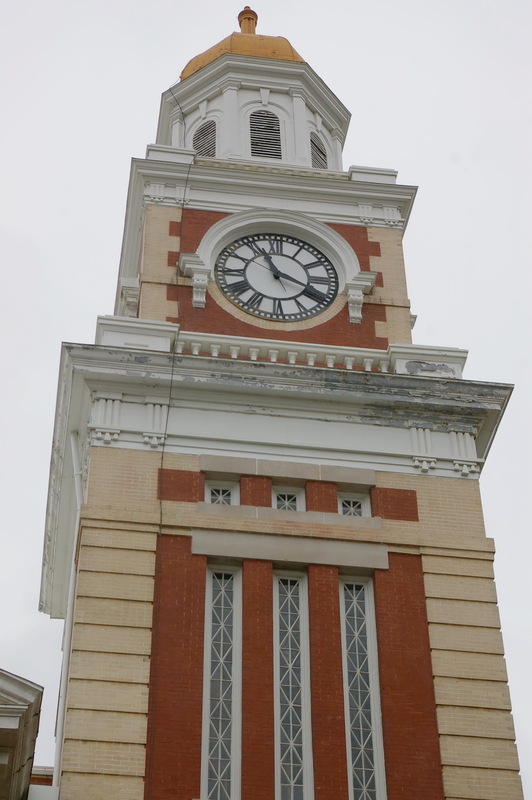 Further restoration was completed in 2001. 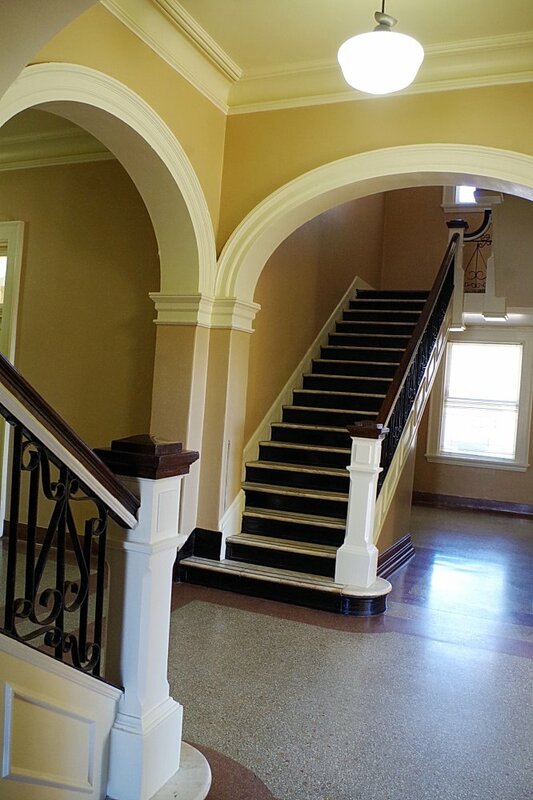 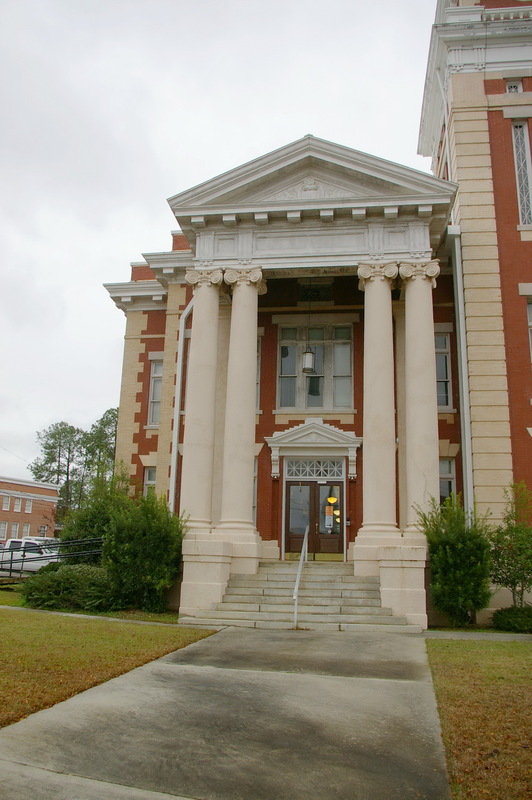 The architect was Danita M Brown and the contractor was Tim O’Neil Enterprises, Inc, of St. Augustine, Florida and E & D Coatings Inc. of Savannah. 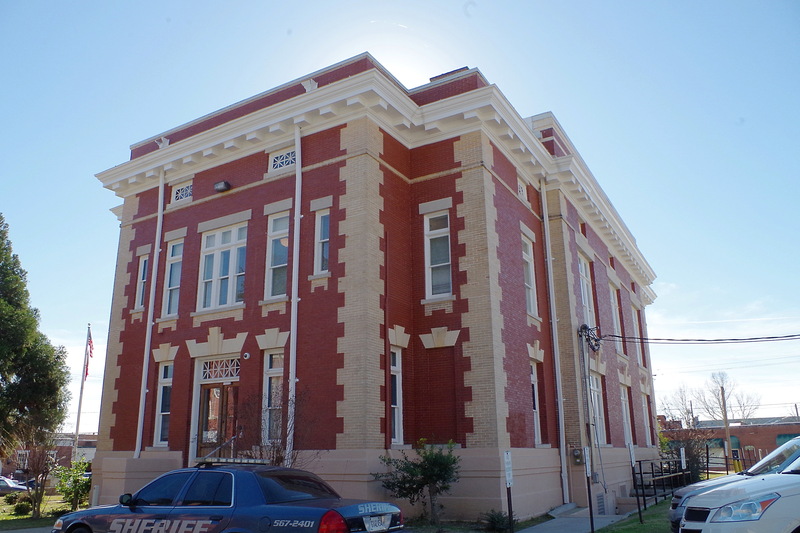 Note: On the east side of the courthouse is the old county jail built in 1906. 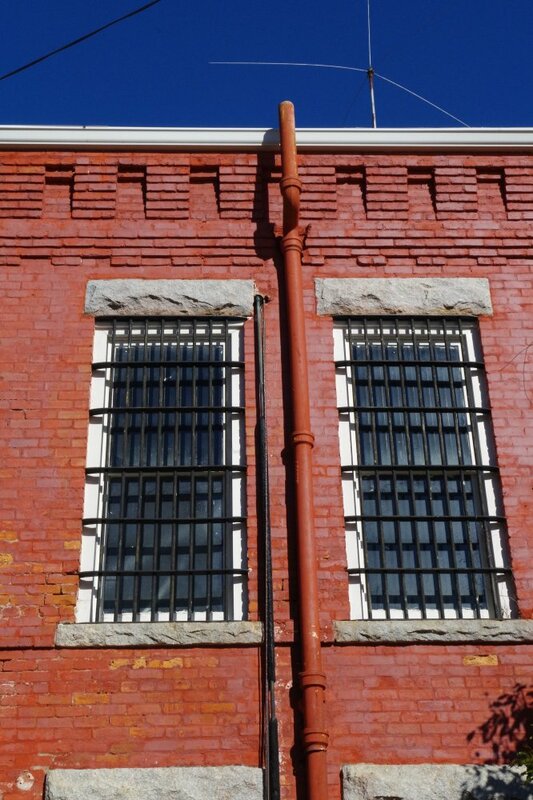 The building now houses the Crime and Punishment Museum. 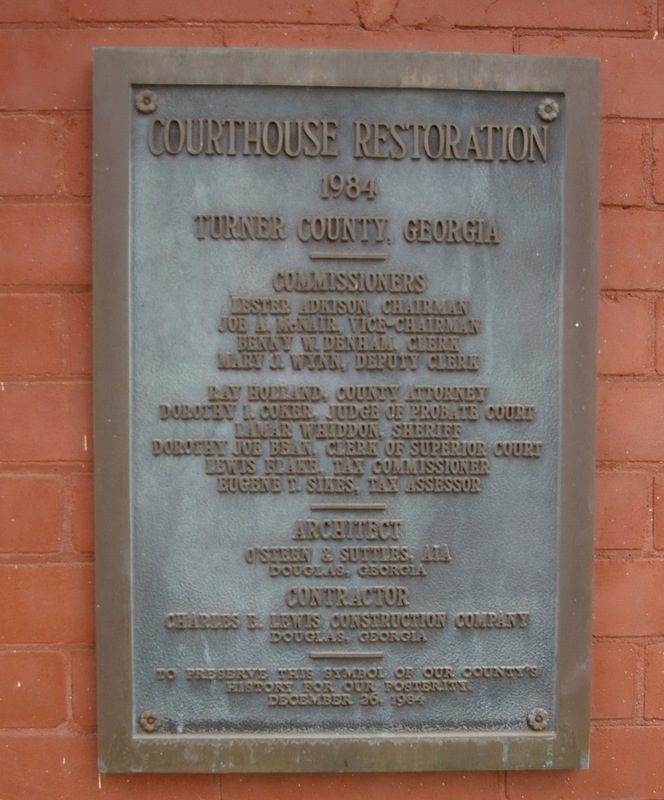 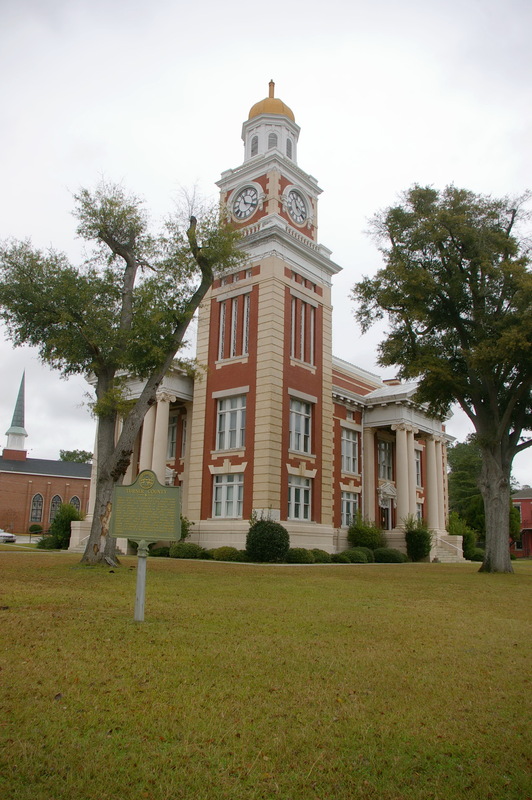 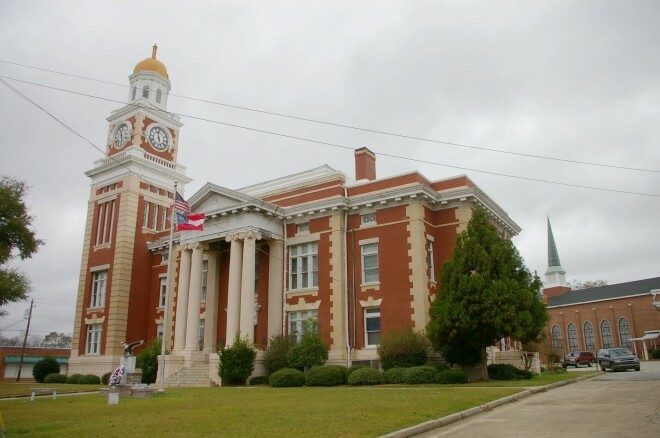 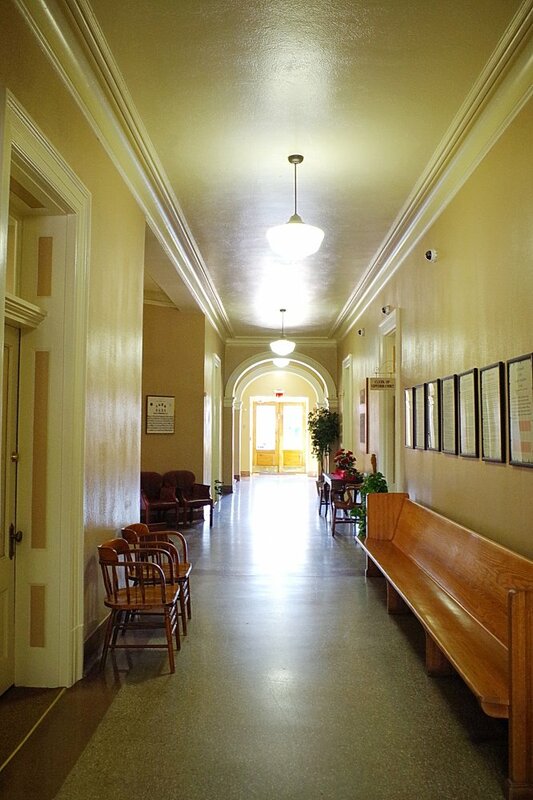 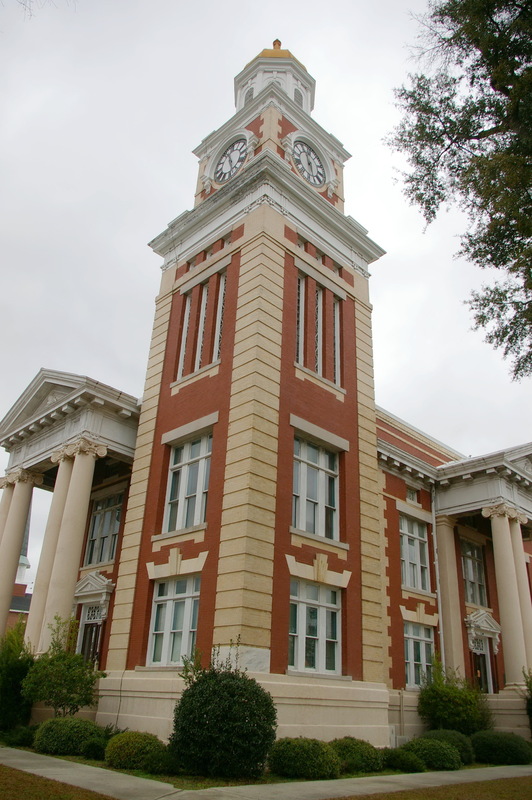 See: National Register of Historic Places – Turner County Courthouse.